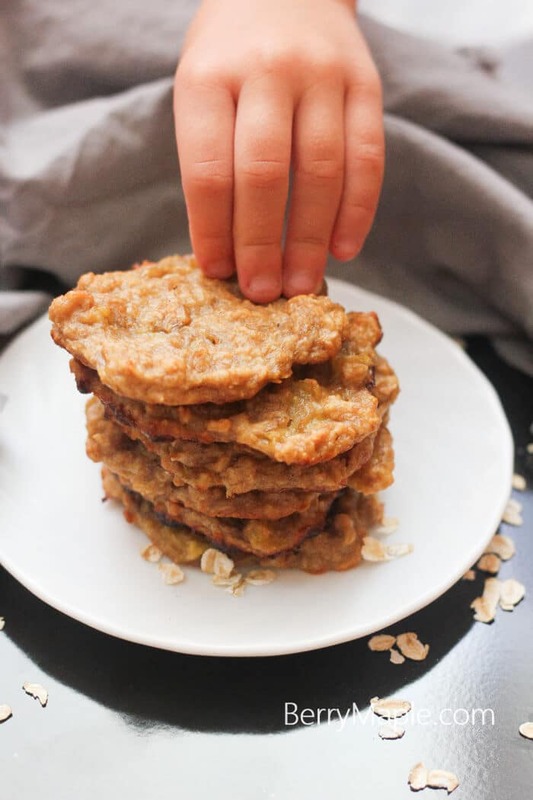 My kids favorite healthy banana oatmeal cookies! Light and absolutely guilt free! Just 3 healthy ingredients, 20 minutes and you will have a quick breakfast option or a snack in the go! My little kids love this cookies a lot. I have to admit this is not your average sweet cookie , you really can tell it’s pretty healthy when you will take your first bite. But we love it healthy here, so my whole family is enjoying it. 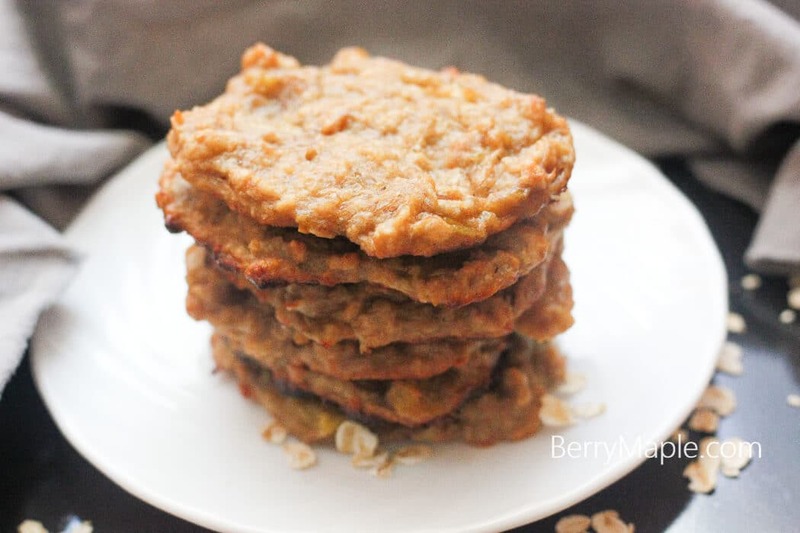 To make it more cookie-like consistency, you will need to grind those oats or use a store bought oat flour. But for me , whole oat flakes is the best option . 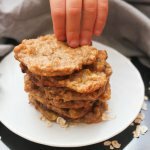 Easy 3 ingredient cookies for you and your kids! Line the cookie sheet with parchment paper and spray with coconut oil spray. Spoon the cookie dough on the sheet and bake for 15-20 minutes. When the edges will start to turn brown, its ready. Let them cool off completely. Enjoy your soft healthy cookies with milk or a cup of tea!